Marketers and brand managers are always looking for new ways to interact with potential customers and drive engagement on social and a new tool from Twitter, Twitter Polls, offers a way to quickly take the pulse of your social media followers. The social media network recently launched Twitter Polls, a feature that allows anyone with a Twitter account to quickly and easily create a two-question poll and gauge the opinion of their followers and the Internet masses at large on any topic or topics of their choice. There were some ways to do polling with Twitter previously, such as tweeting questions and tracking replies, tallying hashtags, or asking users to favourite or retweet to vote. However, these methods weren’t intuitive, and involved a lot of manual tracking. 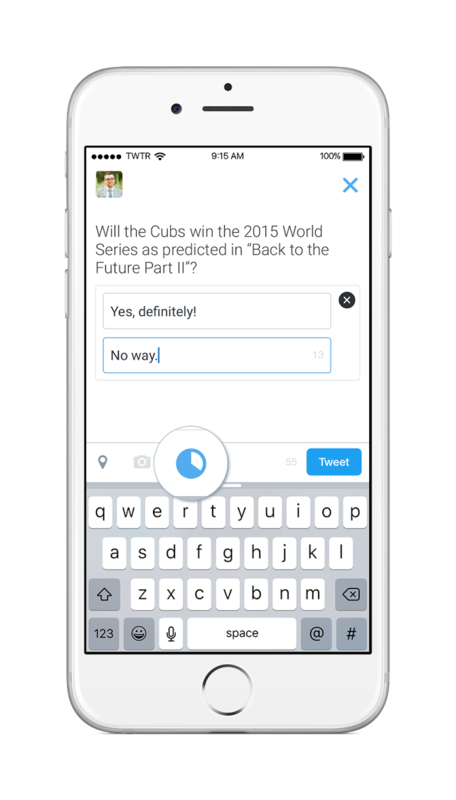 With Twitter Polls, a user can create a two-question poll from within the compose box that remains live or 24 hours. Twitter can vote on any poll, and their votes remain confidential. The overall live results are viewable immediately after voting. Twitter users can now create polls from their iOS or Android device, or from the desktop at twitter.com – just as long as you have the poll icon in your compose box, you’re good to go.